NEW YORK, Nov 21, 2014/ — Just in time for the holiday season, adidas is releasing the final campaign imagery for adidas Originals = PHARRELL WILLIAMS for 2014. Timed to be released the moment the “Polka Dots” collection, which happens to be the two final products for this year also, the campaign artwork plays off the same optimistic and playful spirit of the spotted product. Once again captured through the lens of photographer, Ryan McGinley, art directed by Lloyd & Co. and styled by editor, Jay Massacret, the campaign visuals intend to express the most profound joy of all: love. 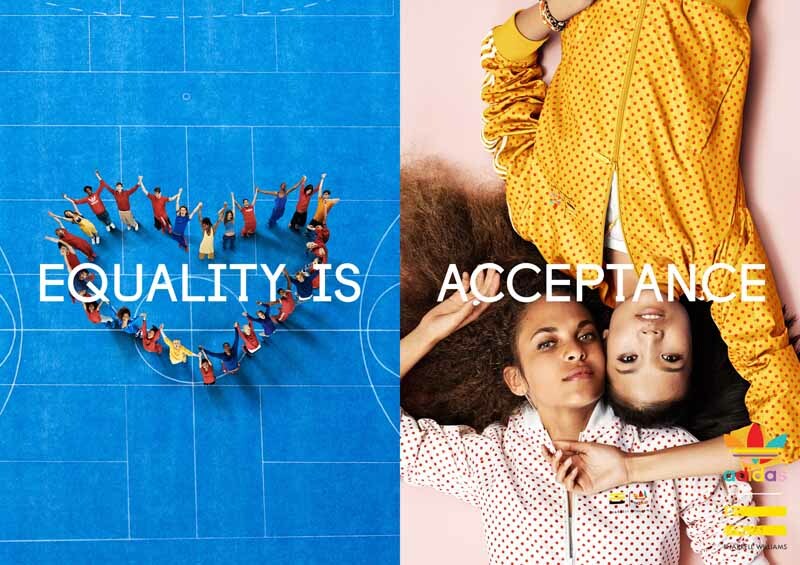 Aerial shots of the same group of Millennials – first seen in the Tennis Campaign / Equal Sign images – reveal the group has united once more, this time in the shape of a heart. This heart formation expresses the importance of love, respect and the power created through unconditional acceptance. The Polka Dot Pack has been inspired by two of adidas’ most celebrated design icons: the Superstar Track Jacket and the Stan Smith sneaker.